Passopisciaro! The Contrada are Coming! The Contrada are Coming! I’ve been devouring Nerello Mascelese wines as fast as I can over the last few years! Passopisciaro is always up at the top of the list! Over the last few years, the amount of Etna Rosso in my cellar has been steadily increasing. Along with Passopisciaro, the wines of Calabretta, Terre Nerre, SRC and Graci have caught my attention. Perhaps, it’s no coincidence that their vineyards are located around the corner from each other. Made from 100% Nerello Mascelese. Passopisciaro, with this other producers, has stood out through their consistent ability to deliver wines of personality, intrigue and great harmony. 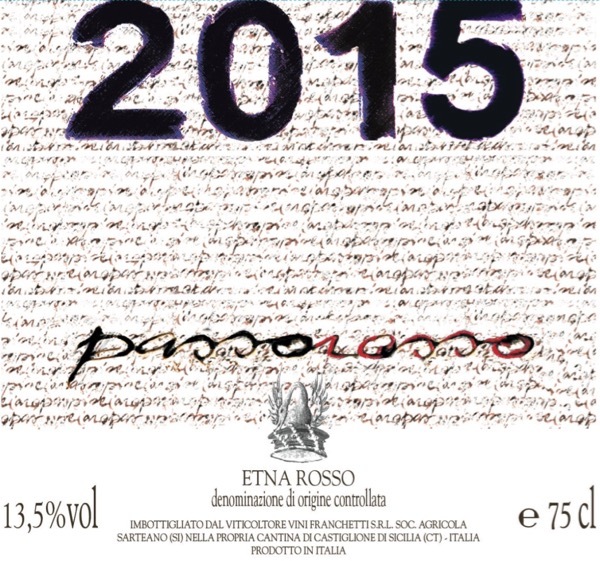 Today we offer Passopisciaro 2015 wines including the Contrada. Having tasted an array of Nerello Mascelese from 2015 from Graci, Terre Nere and more, the wines have shown a lovely richness and balance. It looks like an amazing year! The article includes a look at all the Contrade from both 2012 and 2013. Passopisciaro is at once both a fossil and a piece of modern art! Vines aged from 70-120 years old grow on the slopes of a volcano at altitudes that make noses bleed. Less than 20 years ago these wines were unknown, the Grandfathers of today’s revolutionists made simple wine from overcropped vineyards. Today the next generations are pushing the boundaries making wines from 100% Nerello Mascalese. Often referred to as a hybrid of the great Nebbiolo’s from Barolo and Pinot Noir’s from Burgundy, Nerello Mascalese is capable of making wines with real personality! They’ve taken something incredibly ancient, gone back to the DNA and started again. In under a decade the evolution of these wines have accelerated through a millennia. Vines have been nurtured back to balance, tended by hand on terraced vineyards that one in every 3 years find themselves under ash clouds hurled into the sky from the very mountain they are planted on, a volcano, Mt Etna! The rains brought with them mold and other problems, so to keep them healthy, we returned again to the vineyards after our green harvest and began to pick out the unhealthy grapes from each bunch, one by one. We began to pick earlier in the month, starting in the lowest vineyards of Chiappemacine and Malpasso up to the vines just below Guardiola on the 16th of October. Because of the altitude, we were able to wait longer for the higher vines to come about, due to the cold, the sparser bunches, and lots of propolis to keep them healthy, finishing on October 27th. *Stocks will move fast. First come, first served. Wines will be allocated on a 1st in 1st served basis for delivery in late May. Contrada Chiappemacine (Contrada C) is a small domain at 550 m (1,000 ft) above sea level, our lowest site for a single vineyard cru. The site produces a more full-bodied, rounder style because it lies on the last outreach of Mount Etna’s lava; beneath the thinner strata of lava lies a limestone bed to which the vines penetrate. We own 1.2 hectares of vines in this contrada. Contrada Porcaria (Contrada P) is a large old domain at 650 m (2,100 ft) a.s.l. and is considered Mount Etna’s famous and sought-after contrade because of the lush, robust wines it produces. The soil is made of a frail sheet of lava that splinters under one’s feet. We make wine from 1.5 hectares that we own within this cru. Bright dark red. Very ripe aromas of sweet spices, quinine and red cherry. Similar flavors of aromatic red cherry and botanical herbs on the palate, with a fleshy tactile texture and a low acid mouthfeel. Finishes broad and ripe, with very good length. A bigger richer wine than Franchetti’s other Contrada wines, but less well-delineated currently with a trace of alcoholic heat at the back. The P in the wine’s name stands for Porcaria, an Etna Contrada; Franchetti’s vines grow at about 650 meters above sea level. Contrada Guardiola (Contrada G) is an ancient domain between 800 and 1,000 m (2,600 to 3,300 ft) above sea level, on the edge of the lava flow from Etna’s 1947 eruption. It produces a deep and complex wine with a rich taste of red fruit. We make this wine from a careful selection of some of our older nerello mascalese vines, which we started bottling separately beginning in 2011. Aromas of red berry, grilled herb, balsamic notes, sea breeze and a whiff of wet flint lead the nose. The elegantly structured palate delivers crushed raspberry, strawberry, star anise and a saline mineral note alongside refined tannins. Delicate scents of Mediterranean brush, crushed herb, flint, and balsamic notes of menthol and eucalyptus slowly take shape in the glass. The structured palate shows impressive breeding and class, offering dried Marasca cherry, pomegranate, clove and star anise framed in fine-grained tannins. A mineral-driven finish closes it down. Drink 2019–2025. Restrained, subtle aromas of crushed rock, charred earth, Mediterranean scrub and eucalyptus take center stage. The smooth, elegant palate is ethereal and almost weightless, offering succulent strawberry, crushed raspberry, dark baking spice and a hint of anise alongside polished, silky tannins and fresh acidity. Drink through 2025.